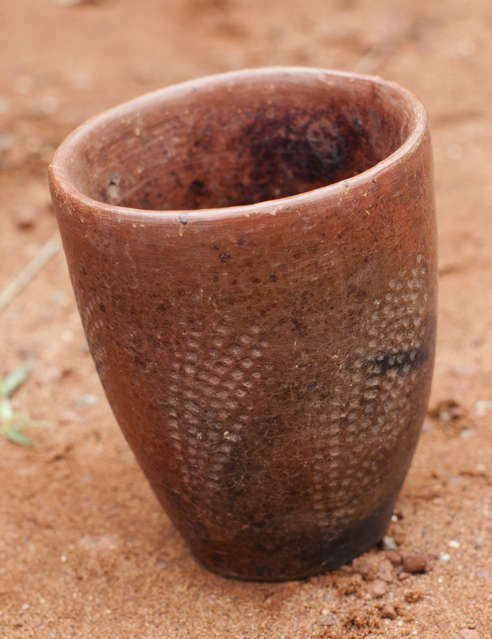 These clay cups/ mugs are handmade by a rural woman in Burkina Faso. This lady earns the income for her family with her simple and nice pottery. At the same time she takes care of her grandchildren. Her pottery convinces through its simple design. Set of three, patterns can vary (not a standard product). Through purchasing these teas cups/ mugs you can support the lady in a very direct war. Gundara says thanks for your support.